A lifetime later. At the opening of an art exhibit in Linköping, I meet Sara. Sara’s a small woman with a shy smile and restlessly glittering eyes who comes up to my friend Peter, the artist, and asks if he can give her a lift to the funeral of her friend Ester the next day. The Jewish cemetery in Norrköping is over two hundred years old but still has some space left, Peter explains to me. It’s a very nice cemetery, he adds, and free of charge, if you want to lie there. No, Norrköping is not my place on earth, and hopefully not beneath it either, but tomorrow it will become Ester’s place, and perhaps eventually Sara’s, just as it has already become the place for many others who chose to make this their last stop on the road from Auschwitz. I ask Sara Fransson, born Sara Leczycka in Poland on February 4, 1927, where she once came from, and she replies Łód´z. And then from Auschwitz, of course, she adds. What do you mean, “then”? she seems to wonder. I survived Auschwitz, what else is there to say? Yes, but by what road did you come from Auschwitz? I insist. I seize every opportunity to ask about the road from Auschwitz, since every road from Auschwitz is an individual miracle unto itself, as distinct from the road to Auschwitz, which is a collective hell shared by each and every one. The road from Auschwitz follows the most shifting routes, veers off to the most unpredictable destinations, and comes through the most unexpected places. Those who are on the road from Auschwitz are all exceptions, just as every road from Auschwitz is an exception. And since the few who reach the end of the road alive have rarely traveled the same road, it’s all too easy for the roads from Auschwitz to sink into oblivion. Christianstadt, do you know anything about Christianstadt? asks Sara. Is there a place called Christianstadt? She was only seventeen on the road from Auschwitz and can’t remember for sure if that was the name of the place, or even if it exists, but if there is a place called Christianstadt, then it’s a place on her road from Auschwitz to Linköping. No, I’ve never heard of Christianstadt, as I had once never heard of Vechelde or Watenstedt or Uchtspringe or Wöbbelin. And since I’ve set myself the task of digging those places out of oblivion, I also dig out Christianstadt, which proves to be a small town in eastern Germany that after the war becomes a small town in western Poland and changes its name to Krzystkowice and over time is reduced to a suburb of Nowogród Bobrzanski. During the war there was a munitions factory in Christianstadt, owned by Deutsche Dynamit Aktiengesellshaft, DAG, previously Alfred Nobel & Co., which was the main reason the Germans set up a slave labor camp here in July 1944. The camp was sited at Schwedenwall, the Sweden wall, in the forests west of the town, and since the delicate and dangerous work of packing explosives into grenade casings was considered particularly suited to young women with deft fingers, the SS leadership in Auschwitz received a special order from the former Nobel & Co. in Christianstadt for female slave laborers. In late August or early September 1944, the order was dispatched by railroad freight cars, about ten carloads with altogether about five hundred women, recently delivered to Auschwitz from the ghetto in Łód´z. The slave labor camp in Christianstadt was under the administration of the concentration camp at Gross-Rosen (today Rogoznica in southwestern Poland), and when Sara Fransson much later writes down her memories, Gross-Rosen is the name she remembers. The summer and autumn of 1944 is the time of hastily established slave labor camps in rapidly disintegrating Nazi Germany. The flow of civilian forced labor from occupied Europe is dry ing up, and German industry turns its gaze on the concentration camps. This is the time when the roads from Auschwitz open up. The war industry needs slave laborers, and the German annihilation machine is asked to provide them. The request is a source of some conflict, since the German annihilation machine needs to kill people, while the German war machine needs to keep them more or less alive. The conflict remains unresolved to the last. People are annihilated and people are delivered. It happens that German industrial managers turn up in person at the gas chambers and crematoriums in Auschwitz to make sure that Jews are being delivered rather than annihilated. Wherever German industries need slave labor, makeshift slave labor camps are set up, sometimes on the factory property, sometimes inside the factories themselves, sometimes in the middle of German cities and towns. Behind the retreating German front, a rapidly growing and increasingly incomprehensible archipelago of slave camps, through which the reluctantly opening roads from Auschwitz unfathomably fork and branch, unexpectedly changing direction and destination as German industries are bombed to pieces and the slave camps are of no use any longer, and the slave transports on their circuitous journeys are left with the primary task of removing all traces of themselves. In front of me I have a list of names of places no one remembers anymore, or at least doesn’t remember them the way you must have remembered them when, much later, you try to forget them. Much later, I follow in your tracks on your road from Auschwitz. On road number 191, between Neu Kaliss and Heiddorf, in Landkreis Ludwigslust, in the German federal state of Mecklenburg- Vorpommern, just east of the former border between East and West Germany, I am photographed. The photograph is taken through the windshield of a rental car, an Opel Astra with the registration number EU AO 2199, and my gaze is set on the distant view, as is recommended when driving, and therefore I don’t see the camera that takes the photograph. Perhaps I should have seen it, or realized it might be there; my gaze, however, is focused not on speed cameras but on the well-kept villages that keep passing by in the snowy landscape, on their pretty, half-timbered houses, lining the road as I pass through, and on the sensibly dressed people making their way along the slushy pavements as if they all know exactly where they’re going. I don’t know exactly where I’m going, because the road I’m trying to follow doesn’t always lead where I expect, and some times doesn’t seem to be where it ought to be. It’s true that the road is narrow and winding in places, and that I’m apparently driving at eighty-two kilometers an hour on a stretch where the limit is fifty, but there’s very little other traffic on the road and my thoughts are flying off in all directions, and one of the thoughts flying off is that not a single human being knows at this moment where I am and where I’m going. Nobody except Frau Gorny at the traffic monitoring unit in Landkreis Ludwigslust in the German federal state of Mecklenburg-Vorpommern, it turns out. In a letter bristling with official crests, enclosing pictorial evidence, that finds its way with impressive speed to my home address in Stockholm, Frau Gorny brusquely informs me that on 4.3.2005 at 12:49 I infringed §55 of the law pertaining to violations of the public order, Gesetzes über Ordnungswidrigkeiten; I’m exhorted to admit my guilt by return of post and to pay what it costs (¤225.60). It’s a formal, correct letter, addressing me as “Highly esteemed Herr Rosenberg,” and offers me the option of denying the charge within one week. I have no intention of denying anything; the pictorial evidence is incontrovertible, but I do react slightly to the German legal terminology for my crime, where widrig in my language (vidrig) means “repulsive.” This is not proportionate to the crime, in my view. Particularly not to a crime committed on this road, which is the road from Auschwitz to the town of Ludwigslust, in which the park between the palace and the city church is filled with the victims of Wöbbelin. And particularly not in a language like this, with its documented capacity for concealing the most repulsive acts behind the most formal and correct terms. 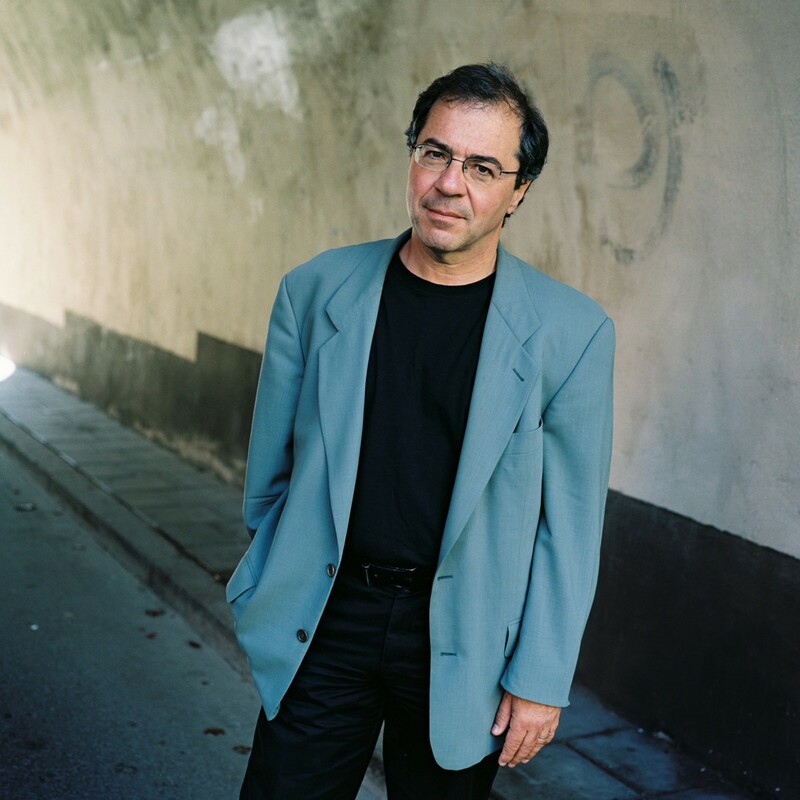 GÖRAN ROSENBERG is one of Sweden’s best known journalists and authors. He is the author of many non-fiction books translated into several languages, including The Lost Land: A Personal History of Zionism, Messianism, and the State of Israel as well as A Brief Stop on the Road From Auschwitz, which won Sweden’s prestigious August Prize and France’s Prix du Meilleur Livre Étranger. From A BRIEF STOP ON THE ROAD FROM AUSCHWITZ. Used with permission of Other Press. Copyright © 2017 by Göran Rosenberg.